The weather outside is frightful, but inside of the house is delightful. And since we have no better place to go, let it snow, let it snow, let it snow. But oh no! It has snowed too much and now we are stuck inside. Let’s have some fun and look for clues to unlock each lock. Lock 1 - Students will find the pattern to solve the puzzle. Lock 2 - Students will use the "fill" format tool to guess the hidden picture. 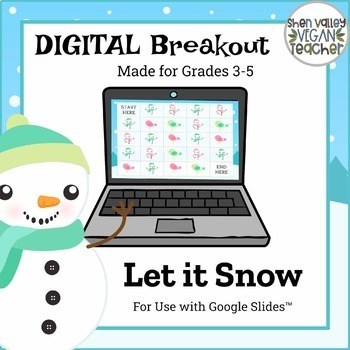 Lock 3 - Students will build a snowflake using the shapes provided, and count the number of each shape. 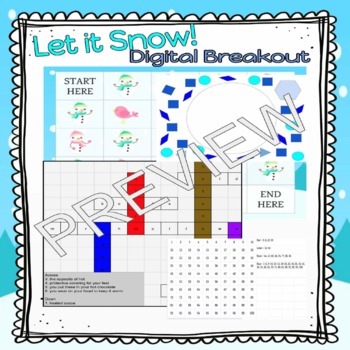 Lock 4 - Students will complete a Google Sheets crossword puzzle using "snow" words.